Mexican promoter Fernando Beltran of Zanfer Promotions, who's been visiting Mexico City, says the fight between Juan Francisco "Gallo" Estrada and Carlos "Príncipe" Cuadras, will steal the show on the "Superfly" card, where Román González, Sirsaket Sor Rungvisai and Naoya Inoue will also be fighting. "It's a very interesting fight, which has already started sizzling with the statements by Cuadras [who vowed to demolish Estrada]. I'm sure they will steal the limelight of that show and it will be a great fight," said the promoter. 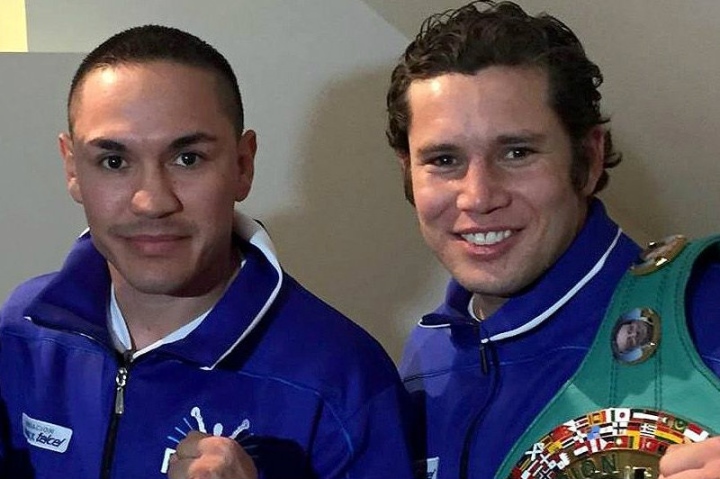 The winner of the fight between Cuadras and Estrada will earn the chance to fight the winner of the rematch between Roman González and WBC champion, Sirsaket Sor Rungvisai. This attractive card will be at the StubHub Center in Carson, California, on September 9th. IN OTHER NEWS: Luis ¨Pantera¨ Nery one of the best prospects of Mexican boxing is ready to travel to Kyoto, Japan, as the challenger for the WBC super bantamweight title, which is in the firm southpaw grasp of Shinsuke Yamanaka. On Tuesday, August 15, in Kyoto, Japan, "Pantera" Nery (23-0-0, 17 KO's) will seek to become Tijuana's 13th champion, when he tries to unseat Shinsuke Yamanaka (27-0-2, 19 KOs). On Saturday, "Pantera" Nery, former Silver WBC champion, traveled to Japan along with his team headed by coach Ismael Ramirez, Vidal Maldonado and Alonso Reyes, along with his managers, Guillermo Brito Jr. and Mauricio Sánchez. ¨We have undergone a very hard and exacting training camp. I`m committed to my company, and Zanfer Promotions, led by Fernando Beltrán for all the support in my career, with all my team, with my family and especially with my Tijuana and my dear Mexico," said 22 year old Nery. "It will be an honor and a pride for me to belong to that elite of Tijuana world champions and also in a division in which Mexican made history with Greats: Rafael Herrera, Ruben Olivares, Lupe Pintor, Caros Zarate, Rafael Marquez , Fernando Montiel, among others. I am very motivated to defeat Yamanaka. There is no such thing as impossible, as I have talent and I am a warrior." Should be a good fight, i'm looking forward to it. The whole card is a good one. Estrada's going to mollywop him.